I’m long overdue for a post about tattoo errors. Thanks to Anna for reminding me that hideousness exists outside of signs. And this hideousness is permanent. The top one is the only one that a tattoo artist can fix without too much trouble. The rest? Se jodio. 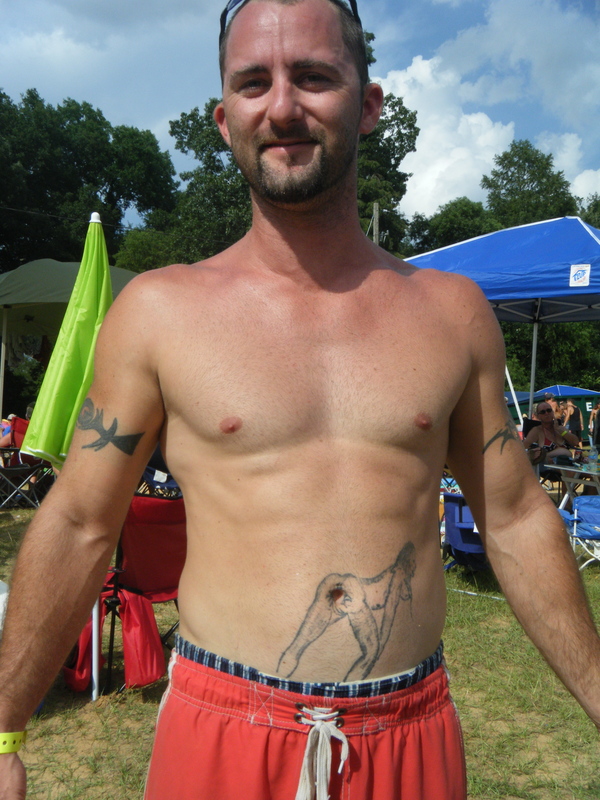 Maybe I should send in this photo I took at the Summer Redneck Games. It fits in rather well, doesn’t it? After reading some of the things people post on Facebook and Twitter and then having an e-mail argument with my sons’ barely literate soccer coach*, I’m even more concerned about the sad state of education in the United States. Even John Cusack needs help. I asked the students in my Business and Professional Writing class if they ever had to diagram a sentence. I was happy to see that most of them had, and they had done it in middle school. Clearly some teachers are paying attention to fundamentals. So can anyone explain this? I’d better not watch “Waiting for Superman” if I want to stay out of a fetal position. *The apostrophe placement is correct; my sons play on the same team. You may have noticed in my posts about going to the dreaded gym that I had not attended a kickboxing class. And kickboxing is kind of a staple of every group class lineup. And it seemed weird because that’s what Eddie teaches at Club SCAD. I’m not about to take one of his classes, for reasons that are probably obvious to married couples. I lasted 30 minutes in the class. There was a lot of kicking and pseudo-boxing, naturally, and some jumping jacks, which equaled uncomfortable jiggling. That could be me in the green, checking to make sure the leg's not broken. The moves were easier to pick up than Zumba, so I think I might grow to like it. I’ll just wear a better bra. Gideon has been very interested in music lately, and I’ve been playing all sorts of music for him. I try to give him a little history of the song and the artist as we’re listening. I’ve been feeling very Jack Black from “School of Rock” (which I watched again today). My musical taste is all over the place — everything except rap and classical. Yet I’m afraid my favorite songs can be classified as white girl music. 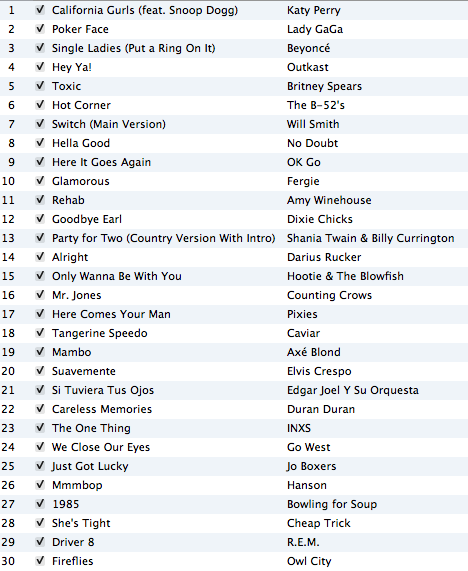 To illustrate this, and to make a cheap ploy to get comments on my blog (even if they mock me), here is the list of songs I listen to in hell (ie. The Gym). I refuse to be ashamed that Britney Spears and Hanson are on this list. Let the mocking begin. Why is it so hard for people to know when to use “I” and “me” in a sentence? I think it is easy. It is easy for me. Subject vs. object. I blame Bryan Adams, Lady Gaga, and, yes, even Stevie Wonder. In all of these cases, the proper pronoun is “me.” The indicator for the last two is the word “about.” That word is a preposition. The pronouns are objects of that prepositional phrase. As you wish, Tom. How about a grammar subset? 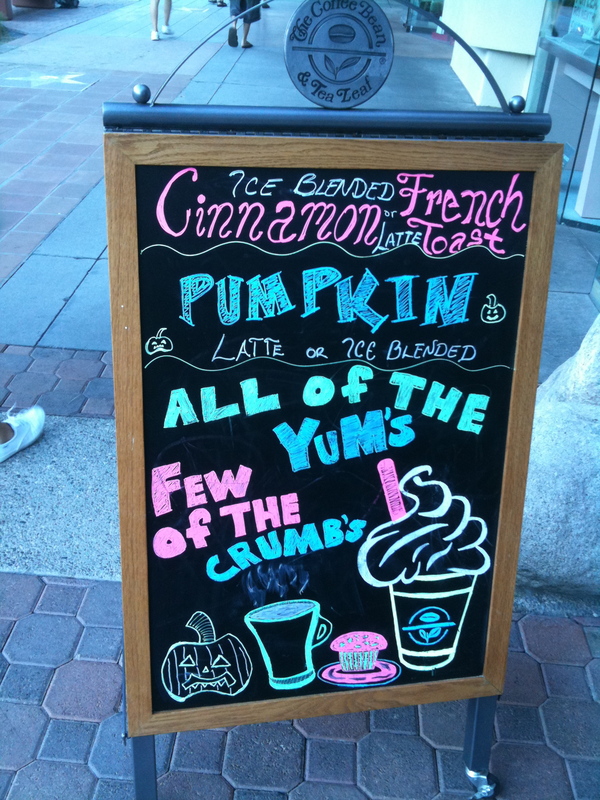 Let’s talk about apostrophes, as they seem to be the bane of the existence of many. 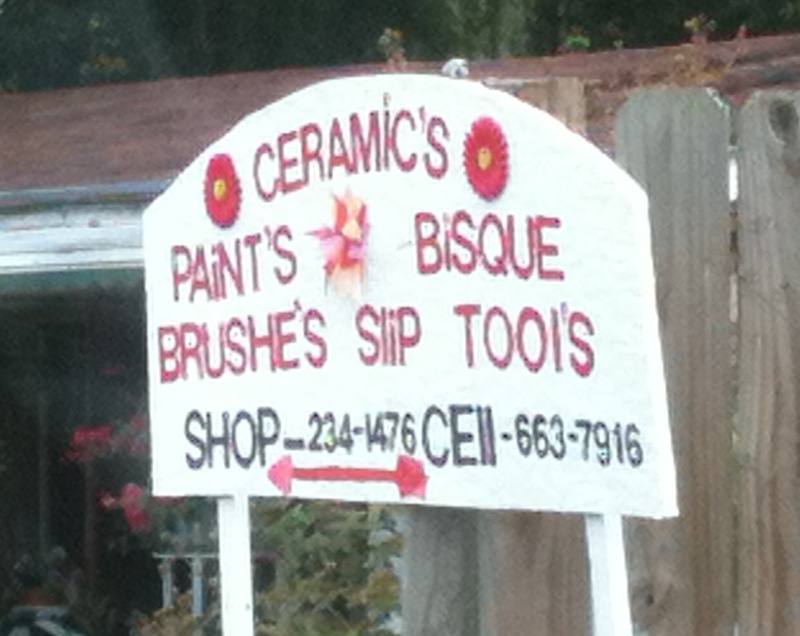 Apostrophes have two major jobs: They show possession or they indicate that something is missing. 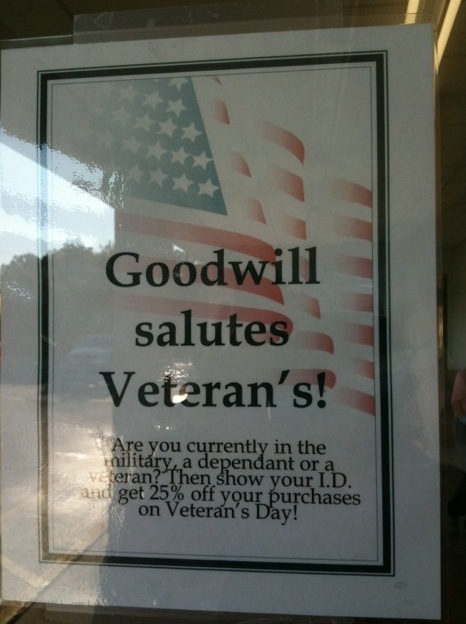 The way it reads now makes me ask, “Goodwill salutes veteran’s WHAT? Ability to shop?” (I will not get into the various other atrocities on this sign, such as the use of “currently,” the misspelled word, and the incorrect abbreviation. Well, I guess I just did.) “Veteran’s Day” also is incorrect (should be “Veterans Day”), but I can understand the thought process behind that. Remember: Use an apostrophe when you want to show that something belongs to someone. Think carefully about who is possessing what. For example, I could write that I belong to the PTO at Dominic’s school. Is it a parent’s association? That would be a group belonging to one parent. Is it a parents’ association? That would be a group belonging to two or more parents. Is it a parents association? Yes, because it is a group made up of parents. Contrary to popular belief, “It’s” is not the possessive for “it.” Only use “it’s” as the contraction for “it is” or “it has.” The possessive of “it” is “its”: The beast went back into its lair. A common phrase in the South is “y’all.” Note the apostrophe. 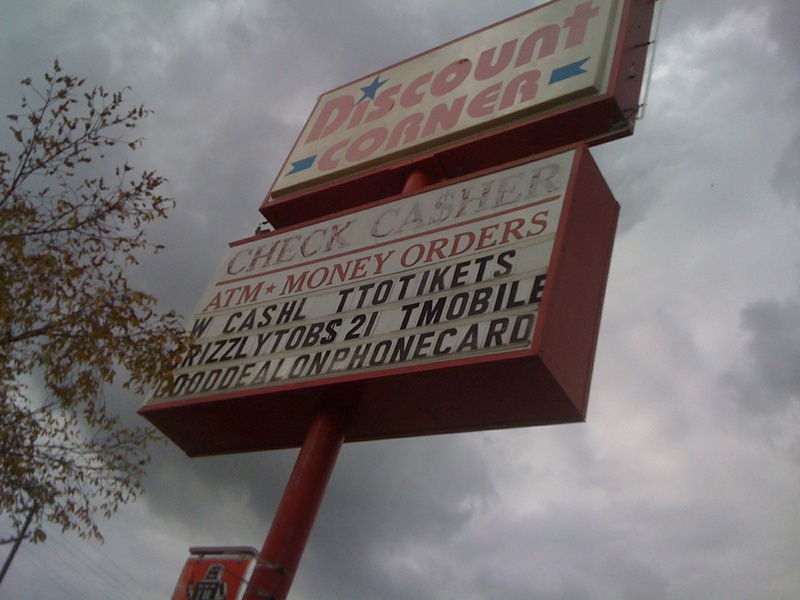 “Y’all” is a contraction for “you all.” The apostrophe indicates that “o” and “u” are missing. 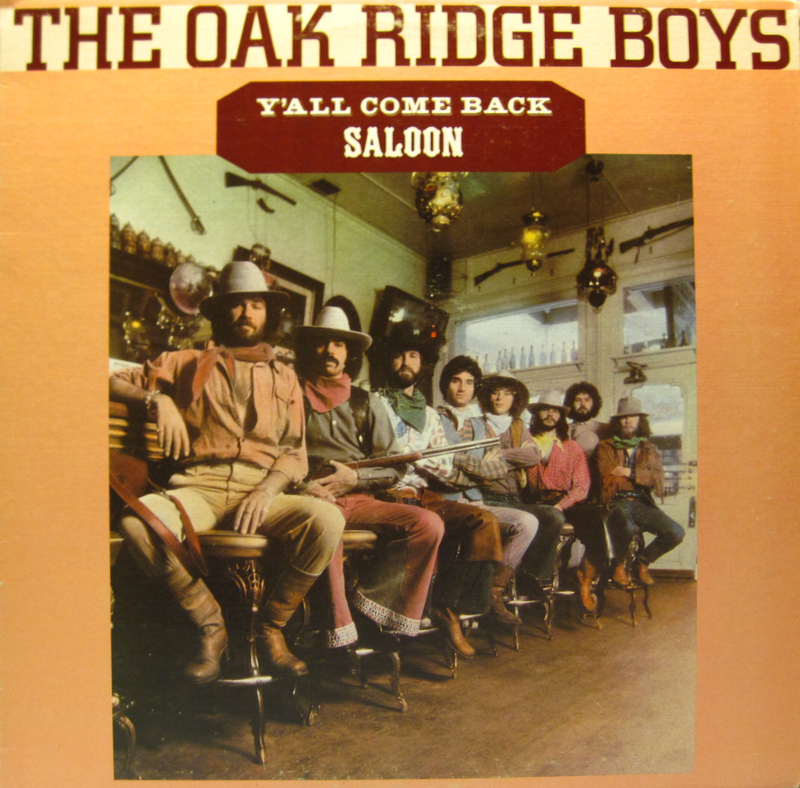 The Oak Ridge Boys have written it correctly. 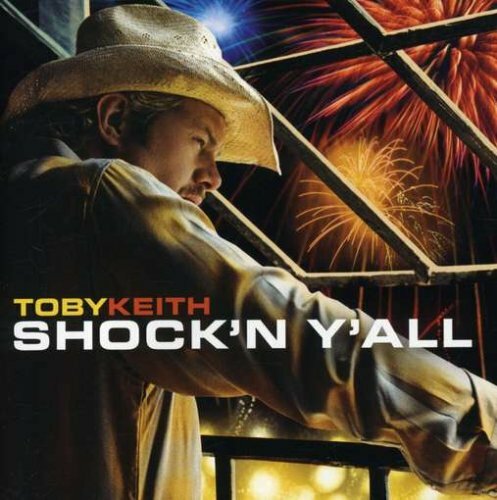 So has Toby Keith, but he has made a different mistake. Read on. Similarly, if you want to talk about the 1980s, and you want to use an apostrophe to shorten it, you would write “’80s” because the “1” and the “9” are missing. I realize that these rules don’t explain things like “won’t.” I can’t explain everything.